If James could have things his way, Little Bro would also be named James and we’d be living out our days on a houseboat on Lake Allatoona. Luckily, marriage is all about give and take. As quite typical of my husband, I never got a response to that text, but rather a verbal “Sorry, I was riding my motorcycle delivery Atlanta League posters and got a ton of texts and calls.” Ok ok, Mr. Popular. I digress. I was toying with different middle names, because it seemed so hard to pair anything with Beau. I had a couple front runners, but they were a little too liberal for James, and he suggested Hudson. Well hmm, I thought to myself, I do really like that. 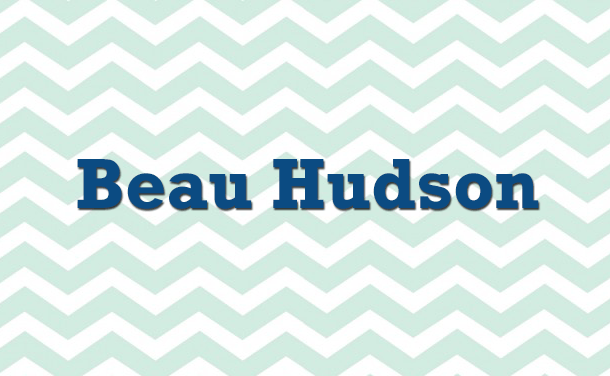 A couple days later, I was catching up on some random blogs I follow, and one photographer blogger just announced the birth of her son, and his name was Beau Hudson. I was absolutely surprised and took it as a sign, to which James said he doesn’t believe in signs 🙂 At any rate, it just made the name we had already chosen more real to know that a baby boy hundreds of miles away was recently named Beau Hudson. And what I find so funny is that after James Michael, I declared that I got to name the next baby if he was a boy. And yet, here I am, acquiescing to my husband’s suggestions. Honestly, it’s not that I give in easily, but hearing your strong, mostly unemotional husband utter the name of your baby-to-be makes this pregnant mama somewhat emotional. His tenderness makes a smile creep upon my lips just thinking about it. And so, that is how Baby #2, also known as Little Bro, came to be named Beau Hudson. The more I think about his name, the more I love it. It’s southern and strong–just how I envision all my boys.